2013 saw a global boom for wind energy. Across the globe wind turbines are being installed in cities, homes, farms, Indian reservations, businesses and universities. As a leading renewable energy source, wind power is on the rise. In 2014, we expect wind energy adoption to continue and the number of grants, tax credits and other financial incentives to grow along with it. 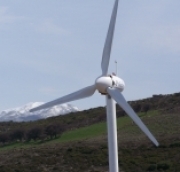 Here are a few wind energy trends to watch for in 2014. According to North American Clean Energy, many turbine manufacturers have redirected focus from new equipment sales to support solutions. As part of this focus, manufacturers are locking up post-warranty O&M service contracts and equipment upgrade solutions for improving the profitability of aging fleets. Preventative maintenance is advisable for gaining efficiencies. A variety of equipment upgrade solutions that improve the efficiency and lifespan of legacy turbines are now available. 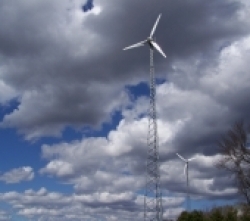 For wind turbine equipment that is outdated and unproductive, upgrades make perfect sense. Expect old equipment to be upgraded with more efficient turbine rotors that have new, larger-diameter models. This is continuing to be the wind power industry’s strongest year ever. As it continues to gain momentum, new wind power jobs are being created. In an article by the American Wind Association, American Wind Energy Association Interim CEO Rob Gramlich said companies are re-hiring workers and putting Americans back to work. “After investing $25 billion of private capital into the U.S. economy last year, the wind industry looks forward to driving investment into more local communities and supporting continued American manufacturing jobs,” he added. 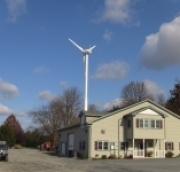 For more on wind energy and small wind turbines, contact Polaris.